Mauricio Pochettino has stressed once again that he totally focused on the job in hand at Tottenham - denying speculation that he could become the new Real Madrid manager. The European champions have been without a permanent boss since Julen Lopetegui was sacked on October 29. Santiago Solari has been in charge on a caretaker basis for the last three matches, but speculation continues over who will take the job long term. The latest rumours are that Pochettino rejected a £15m-a-year contract offer at Santiago Bernabeu recently. 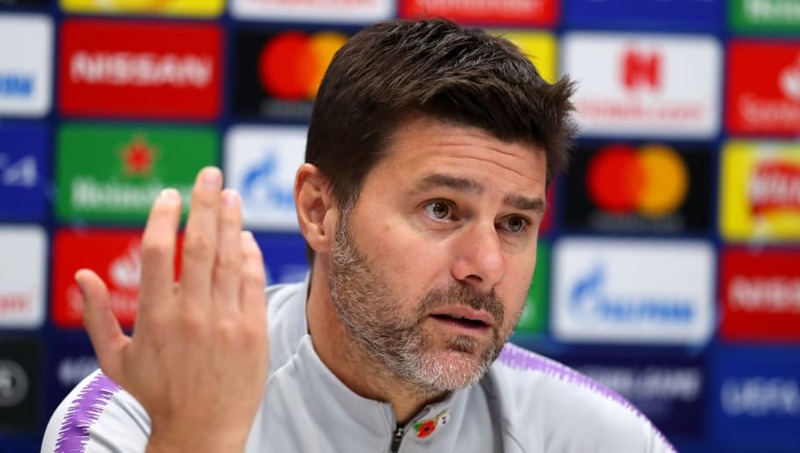 But in a press conference this week, Pochettino reiterated his commitment to ​Spurs, while acknowledging that rumours are part and parcel of football. "Look, I am so focused on my job at Tottenham," said Pochettino, quoted by ​Goal. "A new rumour appears every day. That rumour you tell me and the opposite appeared [in the media] the other day. Many things happen. Pochettino was linked with the ​Real Madrid job in the summer after the resignation of Zinedine Zidane, but Los Blancos opted for Spain boss Lopetegui instead. However, he won just six of his 14 matches in charge. Pochettino signed a new five-year contract at Tottenham in May, but continues be linked with a return to Spain, where he started his managerial career with Espanyol.